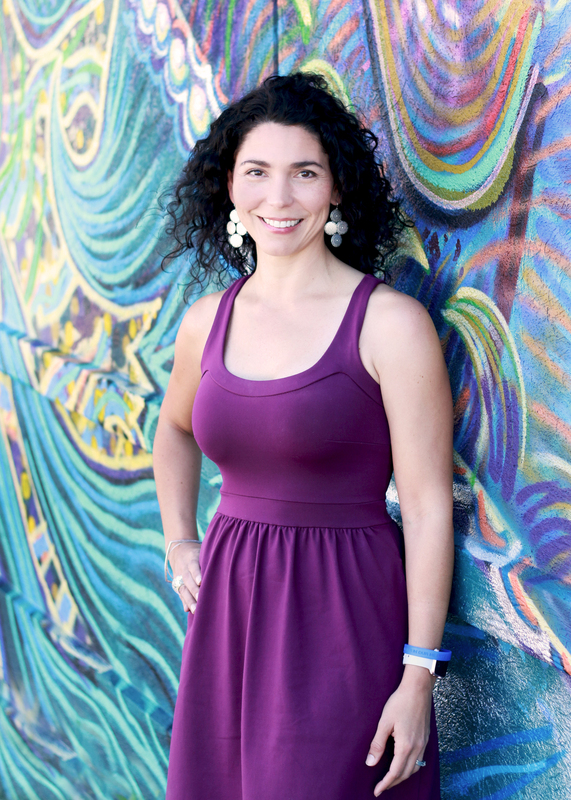 Jessica Brassington is a nationally certified Holistic Health Coach who empowers her clients to take control of their health through food and lifestyle changes. 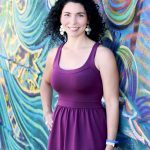 She helps her clients live a less processed life and shares natural ways to lose weight, gain energy and increase libido. For information about her online and one-on-one programs, see JessicaBrassington.com. I love that you have addressed this issue as I definitely suffer from poop problems when traveling. Although I have no problem pooping in a public restroom, I think my issue is that I have a defective bladder and I pee all the time, so I limit my fluid intake while traveling to prevent frequent pee trips. But then I also get constipated from being slightly dehydrated. I can’t win! Ha. Great topic for discussion and great tips. I think your tip to drink lots of water is a key one. When we’re in a strange country, we’re not always comfortable that the water is safe. I think that is when bottled water is a must – and of course it can be expensive. I also think the idea of probiotics is a clever one. Today, I’m reminded It’s a Wonderful World! You really know how to bring up the interesting topics Cathy!! I know I don’t drink as much water when I’m traveling, but I always take my probiotics!! Just keepin’ it real!!! Between the post that includes the incontinence products and this one – I really seem to be into the bathroom topics! Need to plan my editorial calendar a little better next time! LOL! These are all great points. I carry my fiber supplements with me on every trip and drink plenty of water. It seems to work very well! Marcia – fiber supplements are a good idea. Had not thought of that! I take Magnesium for many reasons, but one of them is that it helps with regular “going.” I imagine you could double up if necessary (although I’m a psychologist not a medical doc!) Thanks for these other suggestions! Yes – Magnesium is good for a lot of things. I take it too! super tips on this post and very timely too as i am just about to fly out and visit my mother who lives in florida! I will increase my water intake thats for sure! This is a huge issue for me! I can go up 2 sizes in clothing on a trip, it’s painful, miserable and it exhausts me! Taking probiotics is a great tip, we also make sure that we can find a great salad bar and eat tons of roughage, it helps. Having fruit in our hotel room, along with coffee is another helpful idea, and I now travel with tea bags that will help get things going. I hate being down on a trip! This is a much bigger issue than I realized. Hope the probiotics help! I never realized this was something many people suffer from when they travel. This ALWAYS happens to me, even when I’m away from home for a week! And I often get more exercise while traveling than any other time. It’s amazing how any change in routine can mess you up. And yes, I was surprised that so many people suffer from it too. This post made the most-clicked list on The Blogger’s Pit Stop. Be looking for a feature on Friday. Congratulations. Cindy – I asked Jess, who wrote the post, to respond to you since she is the one who knows about probiotics. Did she contact you? I am definitely in the #2 group and sometimes #1 as well. Thank you for these trips because sometimes it can ruin your whole trip. Rena – glad you found these tips from Jessica helpful! Travel can wreak havoc on our tummies! Antionette – I hope some of Jessica’s suggestions in this post are helpful! This has plagued me in the past, and it can wreak havoc on a vacation. Thanks for al the good advice! Sue – you are getting double duty on reading my posts! Probiotics are advertised a lot here in the States. I don’t know that much about them either. My husband, who is otherwise Mr. Regular, always gets constipated when we travel. I bring magnesium citrate supplements and distribute them to everyone in my family who hasn’t pooped in a couple of days. That works great, along with your suggestions. Thanks for the tips. I am forwarding this on. I don’t typically have a problem but definitely drinking lots of water is so important. It is often more difficult when eating out to keep up the fruit and vegetable quotient so I suggest buying some high fibre fruit like apples to supplement any purchased meals. 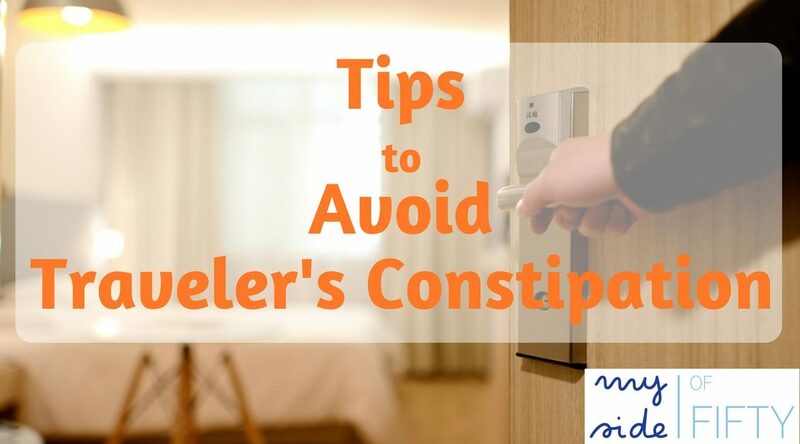 Definitely a sufferer of travel related constipation and it could be travel of less than 10 miles. I will look into using the probiotics before and during my travels to see if it helps. I’m heading to Florida next week. So the timing for this is perfect! Olivia – so glad this was a timely post for you. I hope that probiotics work well for you! Tips we can all do with Cathy. 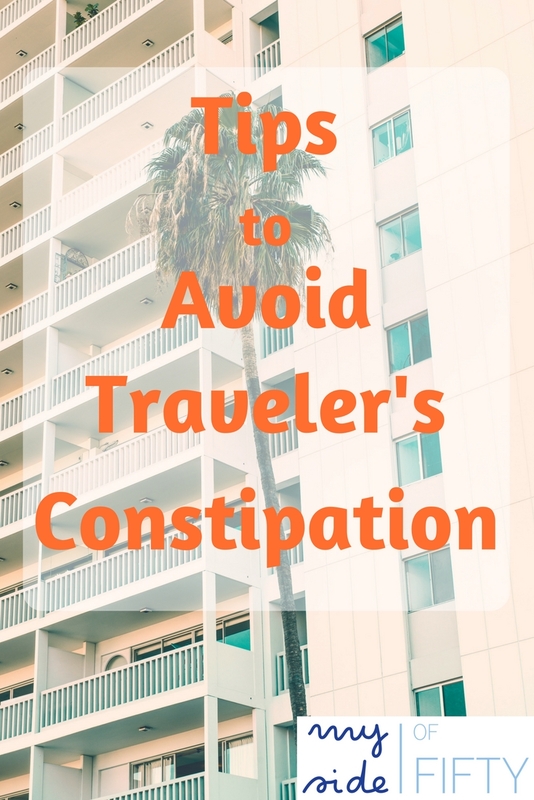 I think most of has have had this problem when travelling but I hadn’t thought to take probiotics before I travelled. Thanks for sharing your tips with us at #BloggersPitStop. Jessica did a great job on this guest post. I think the probiotics is an excellent suggestion. Thanks for reading and commenting, Sue! This happens to me on our road trips of any longer than two hours. I know it’s from drinking enough water, then sitting in the car for hours. Even getting out and walking every two hours doesn’t cut it! Perhaps pro-biotics is the answer! I’d definitely give those probiotics a try, Terri! Getting “backed up” while traveling is no fun!